It’s no secret that Cape Town has the worst traffic in the country. Navigating traffic to and from work has become most Capetonian’s worst nightmare. Whether you are driving in your car, sharing a lift club, catching the bus, taxi or train, the delay is the same. 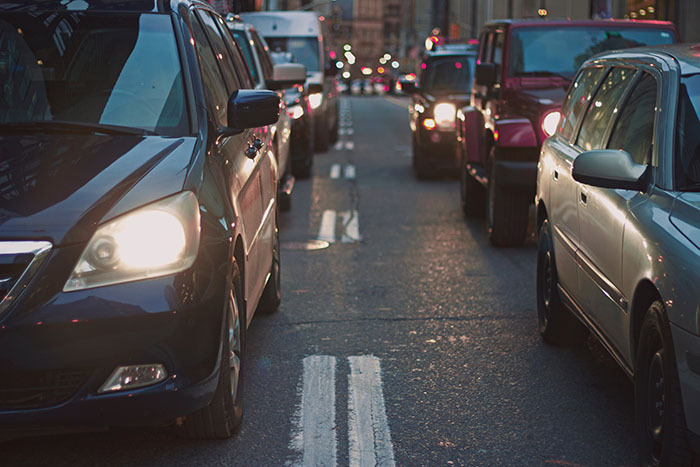 If traffic is getting you down, here are a few tips to consider to make your commute a little easier. In this day and age it can be difficult to find time to read a book and you probably have one you’ve been meaning to read for a while but never get around to. Download the audiobook version and listen to it during your commute. Whether you are driving or being a passenger, the time doesn’t seem as wasted. You can even learn a new language with audio apps. Pack yourself some commute snacks, opt for something easy to unwrap and enjoy. Instead of being hangry in the traffic, or letting your blood sugar levels dip, some tasty snacks can take the edge off. You might even brainwash yourself into looking forward to enjoying what’s in your lunch bag, rather than worry about the traffic. If you’re into healthy eating, pack snacks that help you on your journey to wellness. Get yourself a trusty traffic navigation app like Waze. It’s live and gives you real time updates about whats happening on the roads. Imagine the time you can save if you avoid a route with an accident on it. It will save so much of time, frustration and liquid gold (otherwise known as petrol). Make your commute less stressful with someone to talk to along the way. Start a car pool, split an Uber, create a bus group or sync your travel with friends or colleagues. Even complaining about traffic is better when it is done in company. Practice breathing exercises help to destress and calm as you drive. Meditation can be tricky if you don’t know how, try out Oak – Meditation & Breathing App, it’s easy to use and helps you track your progress and even provides calming music to meditate to. Be careful that you don’t get too relaxed and fall off to sleep. Grab a cup of coffee at a spot with free WiFi before heading home and wait out the rush hour. If you have an actual book you’ve been meaning to read this could also be a good time to give it a go. Catch up with friends or even finish off some extra work to pass the time. It beats going nowhere slowly. Download, play, enjoy, repeat. Podcasts are fascinating and while the time away fast. If you spend some time listening to an intriguing series or documentaries, it is time well spent – and you might even educate yourself. Try out No Such Thing As A Fish on the funny side and Serial on the serious side of things. The great thing about podcasts is, if you have a subject you’re interested in, chances are there’s a podcast for it so look around till you find one that suits your interests.